People who use online social media frequently deceive their profiles in order to increase there popularity. Many users choose to deceive their personal information or refuse to disclose some parts in order to compete with other users that they feel jealous of. This study examines this specific issue of deception on online social media sites such as Facebook. The study utilized an online survey platform to conduct the study among 499 people in the south-east region of the United States with most participants under the age of 30. The goal of the study is to find out if there any significant factors on why millions of users choose to create misleading profiles. Ultimately, social media sites use the provided information to guide you towards subjects of your interests and also people that have common traits as you. Misleading profiles often hinders a social media’s platform to accurately do their job. 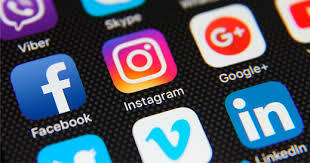 The study concluded that those who often had misleading profiles had a lower self-esteem and needed the appraisal of social media users to fulfill their desires. This includes winning the competition on social media for the most number of likes or shares. Some users were willing to go to extremes to make them look good such as having pictures with expensive luxuries to make them look rich when they are not. In today’s society, we see the deception of profiles as a very common thing on social media. This is very popular on Instagram today. People often want to get the most followers and likes, therefore they limit to only posting perfect pictures that they know will appear best to the audience. This idea of posting only what the audience desires often does not allow the user to express their true identity. In many cases, people even put a fake name to make their profile seem more attractive. Competition seen in social media is similar to the competition seen in the education paper. In education, everyone is competing to be at the top of the class and are more or less willing to do anything to achieve this goal. There is not so much cooperation in education because those who do the best will look most appealing to universities or jobs. Likewise, on social media, many people want to look the most appealing so their posts can appear on the trending page. In conclusion, no matter how much social media giants strive to get their users to provide their own personal information, there will always be people who continue to provide deceiving information. Previous Do ‘State-Owned’ Media Stand on the Opposite Side of the Public?